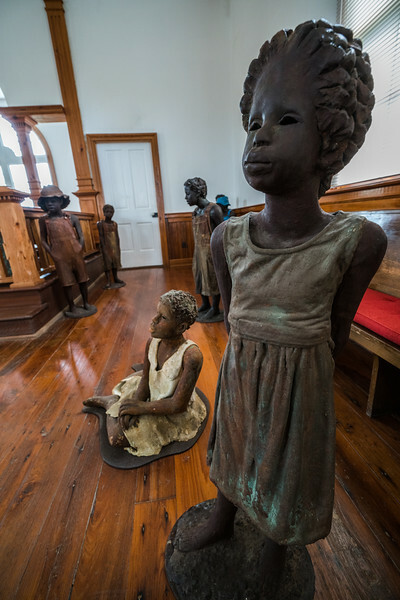 The Children of Whitney, a series of sculptures by Ohio-based artist Woodrow Nash, represent these former slaves as they were at the time of emancipation: children. Whitney presents the stories of these children as told in their own words. The visitors are introduced to the lives of the enslaved workers based on the recollections of those who endured, and who shared the stories of their lives as children in slavery.